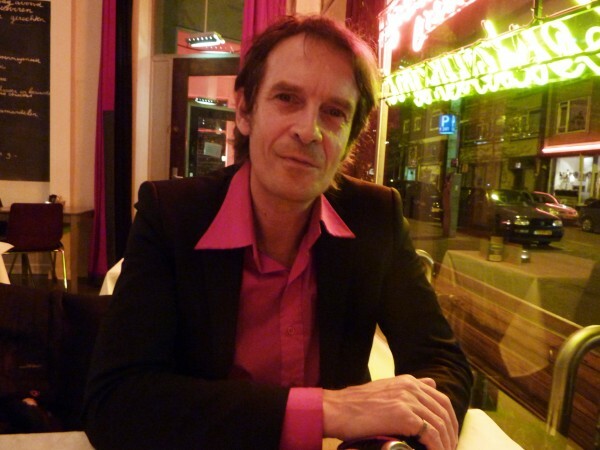 Alex Adriaansens is one of the founders of V2_ (1981), of which he is the general and artistic director. He is also the director of the bi-annual Dutch Electronic Arts Festival – DEAF. He is and has been a guest curator for different art and technology festivals and events (a.o. Meta.Morf, Norway; Moca in Taiwan; China Media Art Tri- annual; eArts festival in China; Dutch Cultural Center Shanghai for the World Expo 2010). He has given many talks and presentations around the world at different occasions (universities, symposia, festivals, workshops, expert meetings etc.). He is a member of several (advisory) boards a.o. : Transmediale festival, Berlin; Todaysart bi-annual, Netherland, and Jury member of the Witteveen Bos Award. He has been an advisor for different institutes and organisations in the field of art and technology (governmental and non-governmental) in China, Netherlands, Spain, Korea, Japan, Taiwan, Germany and Canada. Alex Adriaansens is and has been a member of different juries for international art festivals and price awards a.o. Ars Electronica (Austria), Transmediale (Germany), Share (Italy), Laboral (Spain), Witteveen Bosch award (Netherland). He is project advisor for funding bodies regarding the support of individual artists and international art projects for the Stimuleringsfonds for architecture, Netherland. V2_ is a non-profit foundation based in Rotterdam. It is focussed on the relation between art, science and technology since 1981. The organisation is supported by the national Fund for Creative Industry, DOEN foundation, and the City of Rotterdam (cultuurplan). V2_, Institute for the Unstable Media is an interdisciplinary center for art and media technology in Rotterdam (the Netherlands). V2_ presents, produces, archives and publishes research at the interface of art, technology and society. Founded in 1981, V2_ offers a platform for artists, designers, scientists, researchers, theorists, and developers of software and hardware from various disciplines to discuss their work and share their findings. In V2_’s view, art and design play an essential role in the social embedding of technological developments. V2_ creates a context in which issues regarding the social impact of technology are explored through critical dialogue, artistic reflection and practice-oriented research.